The world’s largest wine show, Vinexpo, is finally here and after a sleepy start, it’s a flurry of wine fuelled, star-studded activity. By all reports the pre-Vinexpo Champagne was flowing particularly well in St.Emilion last night, contributing to a few sore heads going in to Day 1. This, along with French love of a Sunday morning sleep-in, meant the day started off quite civilised (read no line for coffee). However, the pace was soon taken up a few notches as a giant media pack swept through the halls. I was in the middle of a delicious mid-morning Champagne experience (1999 Bruno Paillard ‘Nec Plus Ultra’) when a pack of surly looking bodyguards headed our way. A storm of camera flashes followed, as staff and guests alike left their posts to get a glimpse. The ruckus? 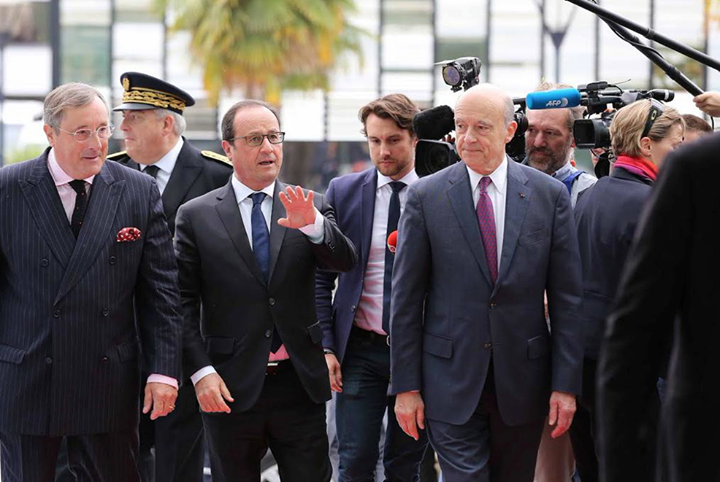 Le President himself of course, Francois Hollande, flanked by the much-adored mayor of Bordeaux, Alain Juppe (who, incidentally, has his eyes on the top spot- awkward small talk there I’m sure). -Surprise packet: A priest, rocking the collar under a Juventus jacket, capped off with a pair of New Balance trainers. Perhaps the clergy’s newly appointed Head Wine Buyer? 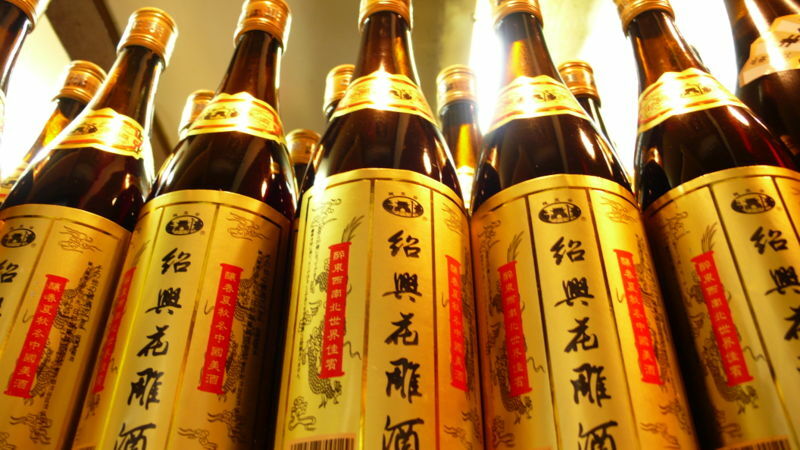 -Exotic tastes: Yellow Wine from China– fermented rice made in a tradition spanning 9,000 years. It was….interesting. -Standout wine: Biased, I know, but geez it’s hard to go past Bannockburn Pinot Noir. -Ingenuity: Bag in bag- the Vernissage range of French Vin de Pays d’Oc in handbag shaped box. Perfect for the gal on the go. -Man of the people: Foregoing a chauffeur/taxi, Oz Clarke opted for the €1.70 tram, posing for numerous pictures and chatting engagingly with fans. -Starstruck: Without doubt Angelo Gaja. Literally bumped into him outside the Gaja stand and my god, that man has charisma. -Lowlight: Bad WIFI, come on Vinexpo, give the crowd what they want: fast, reliable WIFI. Right, time to hit the water- tomorrow brings a day packed with masterclasses, fashions on the field and not one, but two soirees. It’s a tough life. I do like the bag. 😀 Hugs! i went 15 years ago – it was brilliant!